Seacoas t PHN became a program of Lamprey Health Care in July 2015, two years after the state merged the work of Substance Misuse Prevention networks with Public Health Emergency Preparedness networks. Seacoast PHN staff have 70+ years of combined experience in health education promotion, substance misuse prevention, and network development. We are one of 13 public health regions in the state. 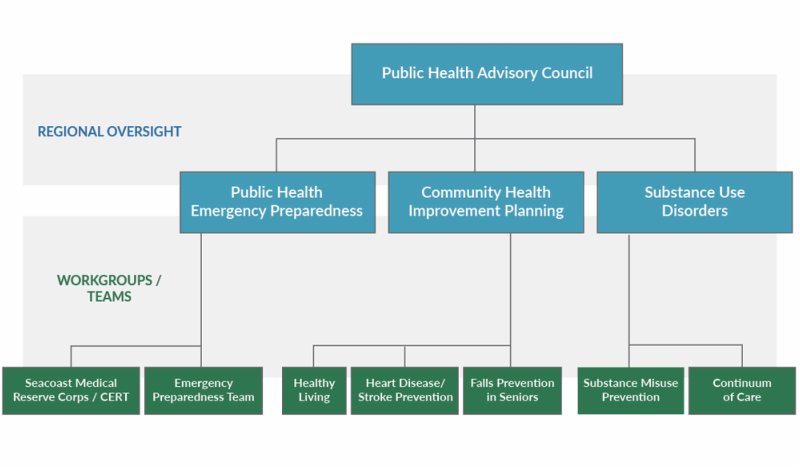 The mission of Seacoast PHN is to strengthen public health partnerships in emergency preparedness, community health, and substance misuse prevention in order to better serve our communities. Two primary roles of the Seacoast PHN are to coordinate regional planning and to develop networks of effective action to support that mission.